If it doesn't have a Swiss timepiece in it, then you are charging entirely too much. Doesn't matter, morons with money will buy it. you got it; this caters to the ISheep crowd, who feels a expensive name on something makes them superior when the wear/use it..
Other Android Wear devices cater to the poor crowd, those who have zero taste but want to strap some tech on their wrist anyway. are you stupid? (Stupid Question in itself, because everyone that will read this already know's you are) The Urbane, Huawei watch, and the moto 360 are absolutely beautiful watches. Frankly, this thing is one of the more ugly looking smartwatches to date. Will there be a 3G/4G model? If you can find a copy of the live stream, you'll see that when the electronics get obsolete you can send the watch in and (for a modest fee) they'll replace the electronics with a mechanical Tab Heuer movement. TH claims it's the first AW watch that's "eternal". Mind-bendingly strange but true. 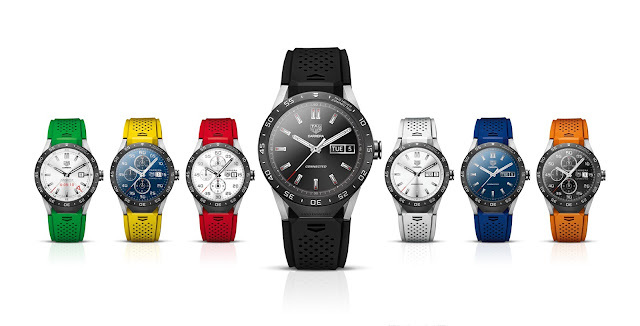 tag heuer is a good wacht. i wear it since i was child..